With more toys designed with a baby’s learning and development in mind than ever before, parents are more confused than ever as to which learning toys they should get for their precious little one. We have done the research for you and are excited to present to you some of the best early development toys in the market today. Ranging from toys that require batteries to the simplest classic stacking toys, here are some of the best early development toys that you might like to consider getting for your baby. 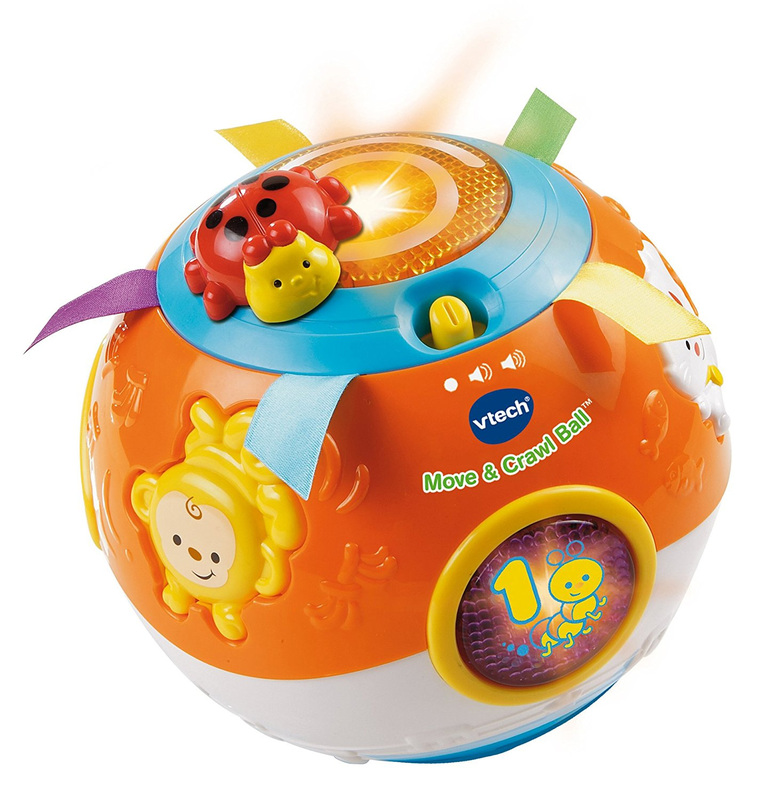 Keep your baby busy and learning with this motorized, self-rolling ball. 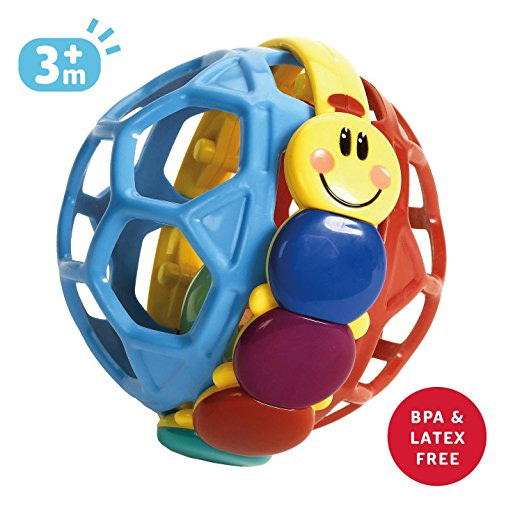 With all its sound and lighting effects, 40+ sing along songs, and fun phrases, your baby is bound to have some fun time crawling after and interacting with this ball that seems to have a mind of its own. 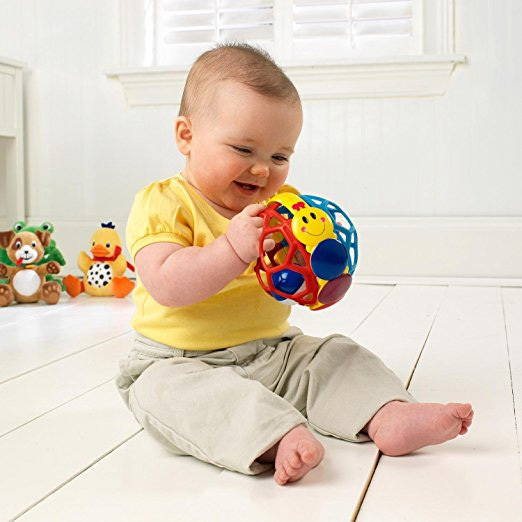 Babies definitely love the rattling sound made by the smaller ball that moves freely inside this easy to grab ball. 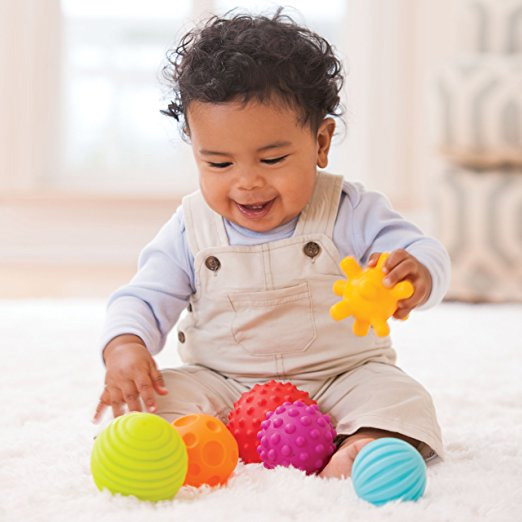 This is perfect for developing your baby’s motor skills and provides multiple concepts to keep your baby curiously entertained. 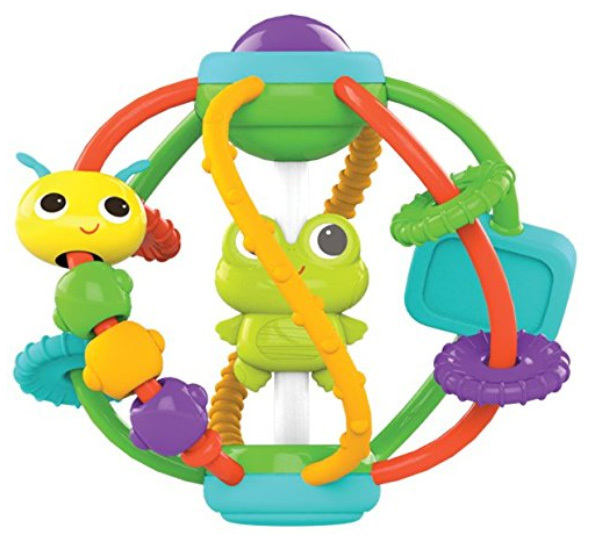 With its spinning frog character, caterpillar bead chaser, squeaker and clacking rings, and spinning paddle with mirror, your baby’s curiosity and imagination is surely going to be stimulated. 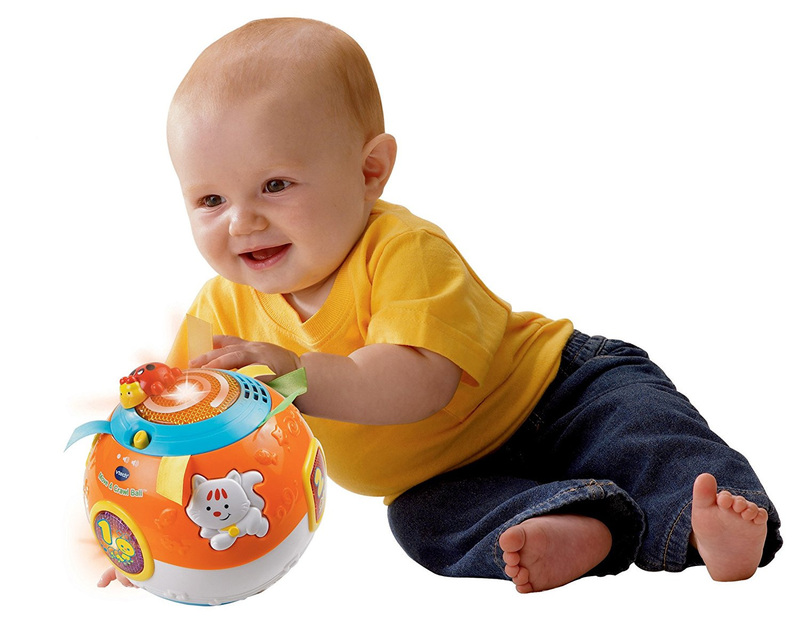 This easy to grab and play with toy encourages motor skills development. 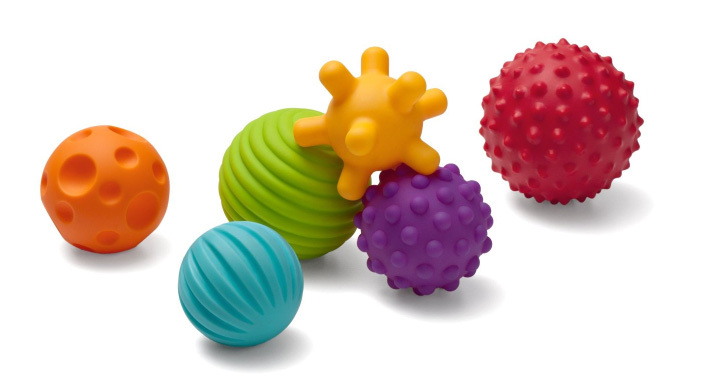 These various easy-to-grab, bright colored balls are soft and great for catching games with your baby. 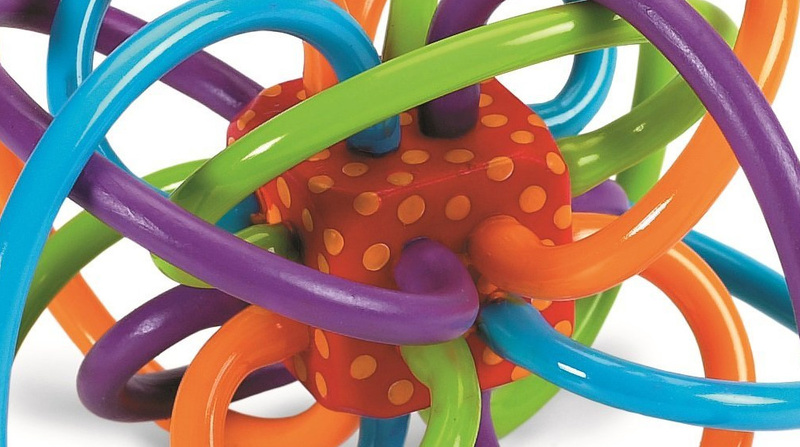 With their textured and various rolling characteristics, these are surely great to help your baby develop his or her tactile senses and hand coordination. 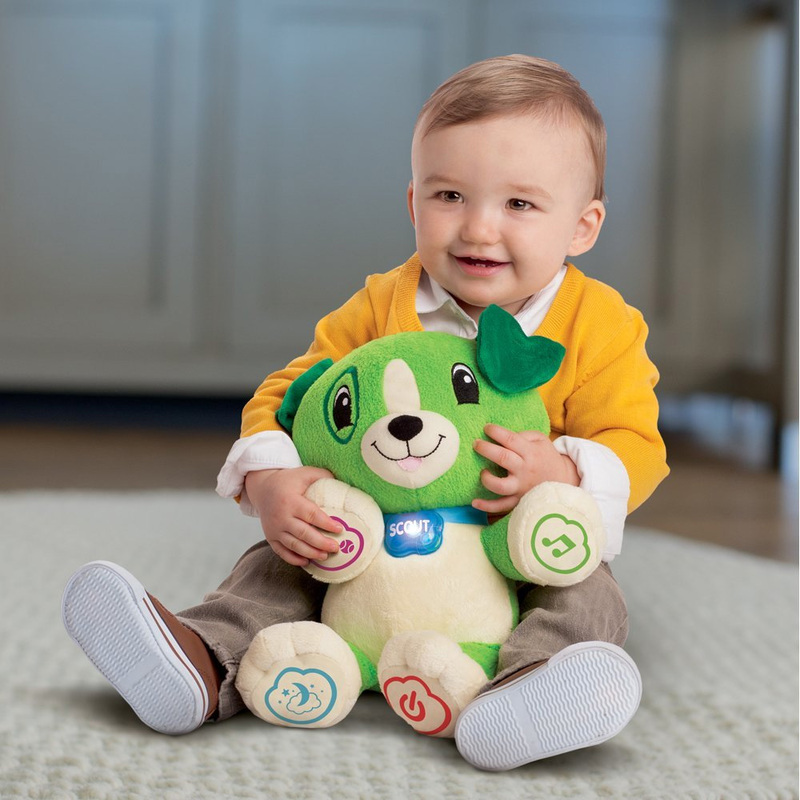 This soft, cuddly puppy plays songs and teaches your baby via various interactive activities. 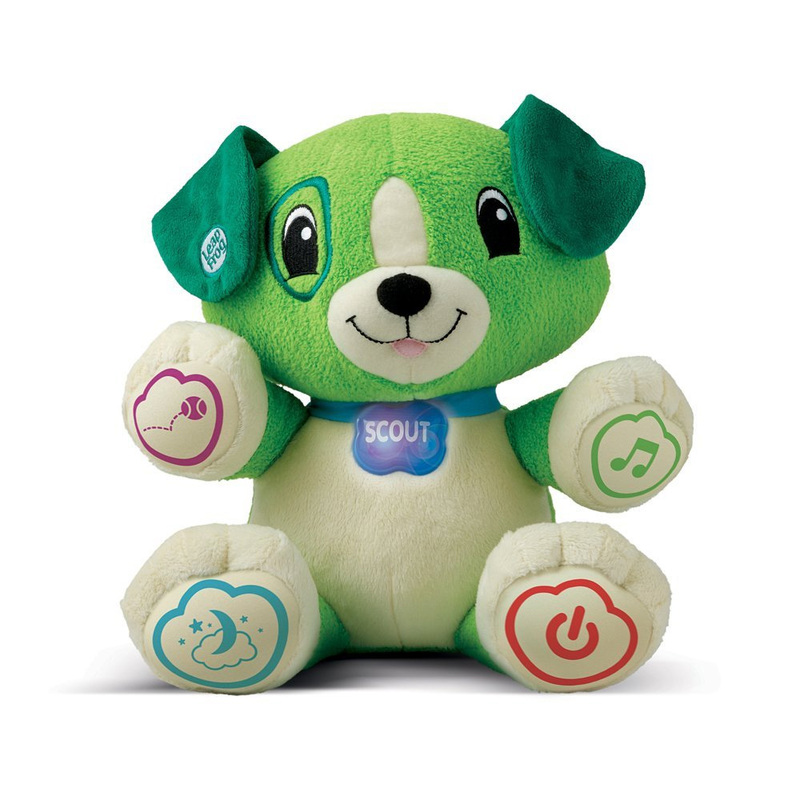 Pressing the paws gets “Scout” to play lullabies, learning songs, and other fun activities with numbers, animals, colors, and other surprises. You can even program your child’s name into the songs for better fun and learning. Please go to the Next Page for early development toy No. 10 on our list.